THIS JEEP IS SPOTLESS!!! LIFTED WITH 20 INCH WHEELS AND 35 INCH TIRES!!! FOX RESERVOIR SHOCKS!!!! DUAL FOX STEERING STABILIZER !!!! HEAVY DUTY REAR TIRE CARRIER!!! DRIVES REALLY GOOD TO BE LIFTED!!! COME SEE IT IN PERSON!!!! SUPER LOW MILEAGE!!!! 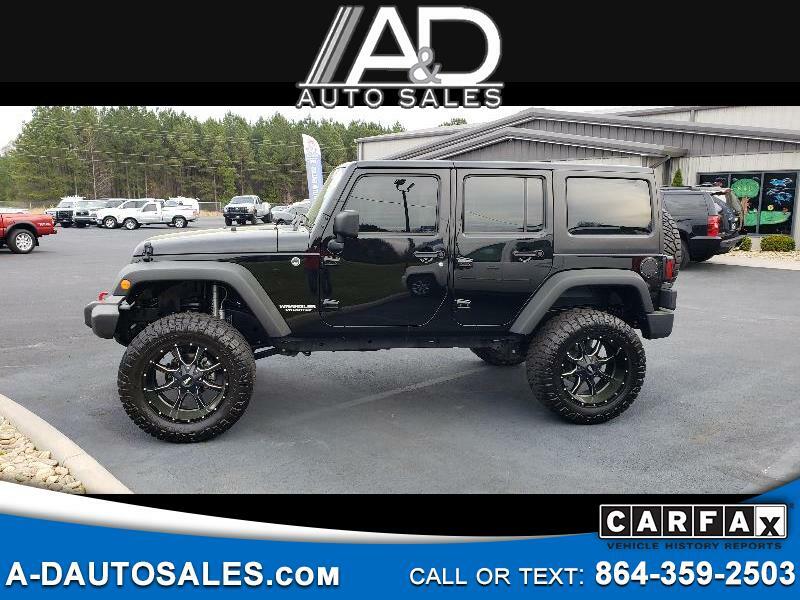 TO VIEW A FREE CARFAX ON THIS VEHICLE PLEASE VISIT OUR WEBSITE >>> WWW.A-DAUTOSALES.COM <<< THANKS FOR LOOKING!